This week we have family from England staying with us. As they are very familiar with the area east of Málaga, we took the opportunity to venture out of the Axarquía. Driving west from Málaga along the E15/A7, not a single road-sign mentions the British territory of Gibraltar. You just have to figure out when to exit the highway (at La Linea de la Concepción, the Spanish town close to the foot of the Rock). By the time you see a sign for Gibraltar, you are within walking distance! Photographs cannot prepare you for the physical reality of Gibraltar. The scale of the 430 metre high boulder – sheer on one side, a city of 30,000 people clinging to the bottom third of the other – still causes a jolt when you come over the last ridge to find it looming in front of you. Gibraltar is a British Overseas Territory located on the southern end of the Iberian Peninsula. 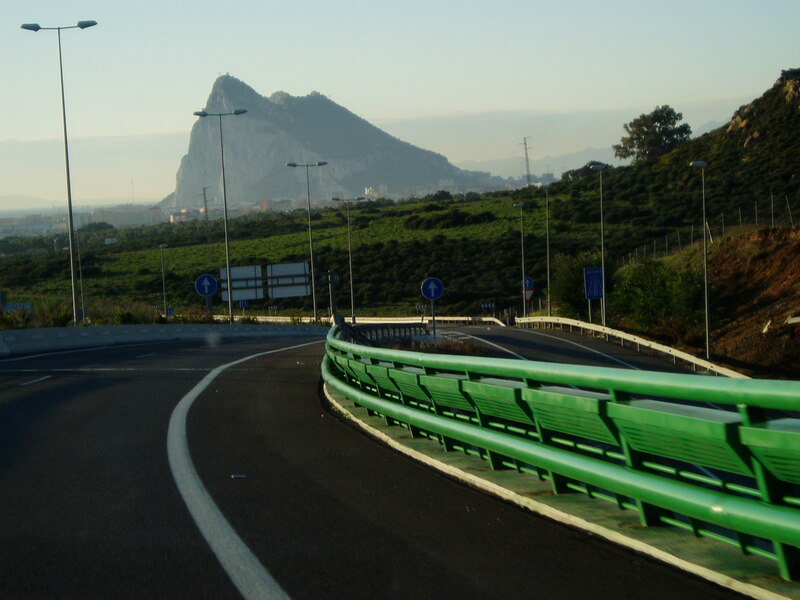 The Rock of Gibraltar, one of the Pillars of Hercules in Greek mythology, has a strategic location on the Strait of Gibraltar where the Atlantic Ocean meets the Mediterranean Sea, with Europe to the north and the continent of Africa to the south. Both famous and enigmatic, Gibraltar contains some of the most extensive military fortifications in Europe, spanning over 1200 years of Moorish, Spanish and British history. The territory covers just over 6.5 square kilometers and shares a 1.2 kilometre land border with Spain. Of course, what traditionally attracts the tourist to Gibraltar doesn´t disappoint either: stunning views of the entrance to the Mediterranean and the mountains of Morocco (including Jebel Musa, the other Pillar of Hercules), St Michael’s Cave, tunnels from the Great Siege of 1779-83 and, of course, the famous Barbary apes – Europe’s only wild monkeys. Local legend has it that as long as the Barbary Macaque population exists on Gibraltar, the territory will remain under British rule. 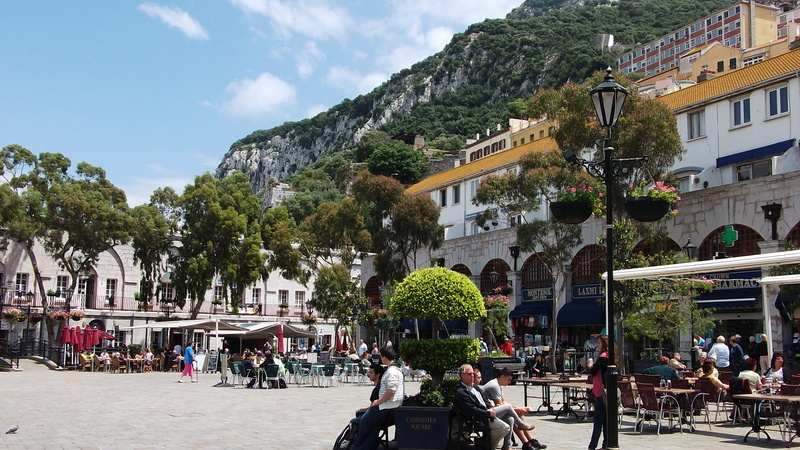 Being so close to Spain, Gibraltar shares the best of both cultures. You can see Spanish-style houses adorned with Victorian cast-iron balconies from England. 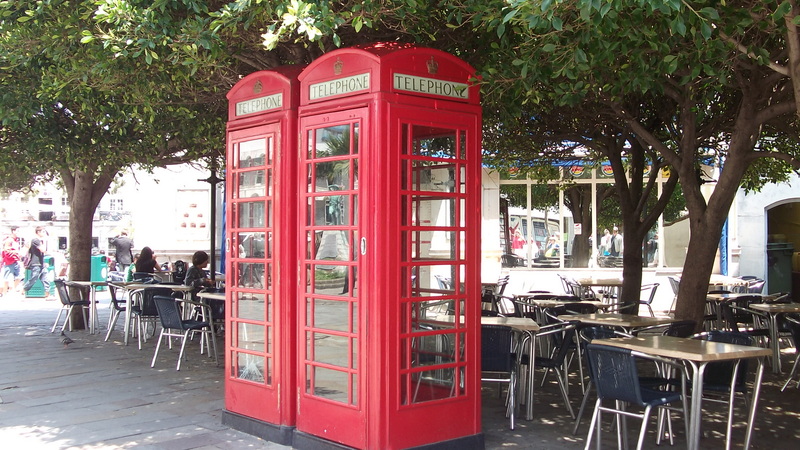 The labyrinthine streets and alleys of the old town, reminiscent of nearby Spanish cities such as Cadiz, are dotted with iconic English phone booths, red Royal Mail boxes, bars with names like Lord Nelson and The Angry Friar as well as good old Marks and Spencer! The old Gibraltar Airport building is shortly to be replaced with a new glitzy glass-fronted one, but the runway, the shortest in the world, will remain the same. The landing strip crosses the main road into the city, with traffic and passengers being halted to allow aircraft to take off and land. One of the main reasons we travel the three hours to Gibraltar is to visit Morrison´s, the British supermarket, to buy groceries we can´t find in our local Spanish stores. We can also pay in Sterling, saving the need to change our money into Euros, as we have to do for our everyday living here in Spain. Our visitors meanwhile, took advantage of the cheap duty free cigarettes available at a fraction of the cost in the UK. What do you think about Gibraltar being a British territory? This entry was tagged Europe, Gibraltar, history, life, lifestyle, Spain, travel. Bookmark the permalink.